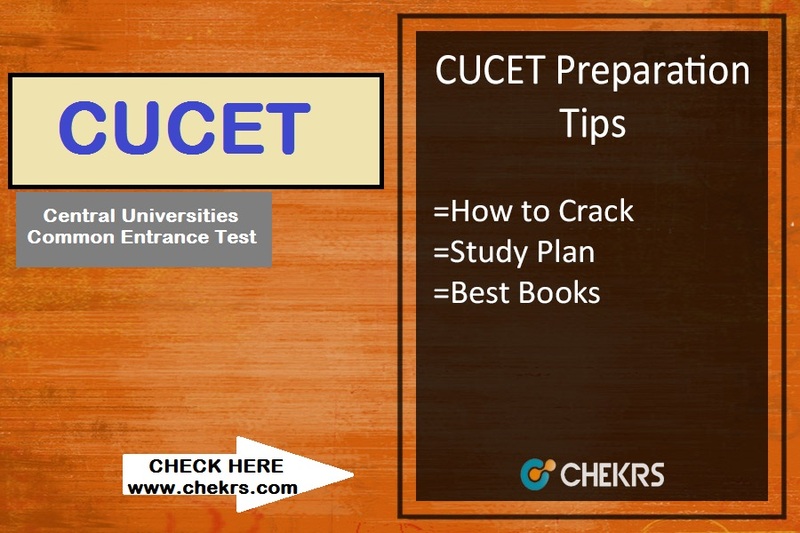 How To Prepare for CUCET 2019 : The commonly known CUCET exam stands for Central Universities Common Entrance Test. This is a gateway for all the students to get admissions in the central universities of prominent states. All the universities are credited with grade ‘A’ accreditation by the NAAC. There are total 10 state universities involved in the conduction of this exam. The prominent universities are- Punjab, Haryana, Rajasthan, Tamil Nadu, Karnataka, Kerala, Jammu, Jharkhand, South Bihar and Kashmir. Once the exam is given by the candidates, cut off from these colleges is being released for the students and based on the performance the candidates can admission in the university of their choice. As there are a lot of students appearing in the exam the competition to get admission in any one university or course may be high. 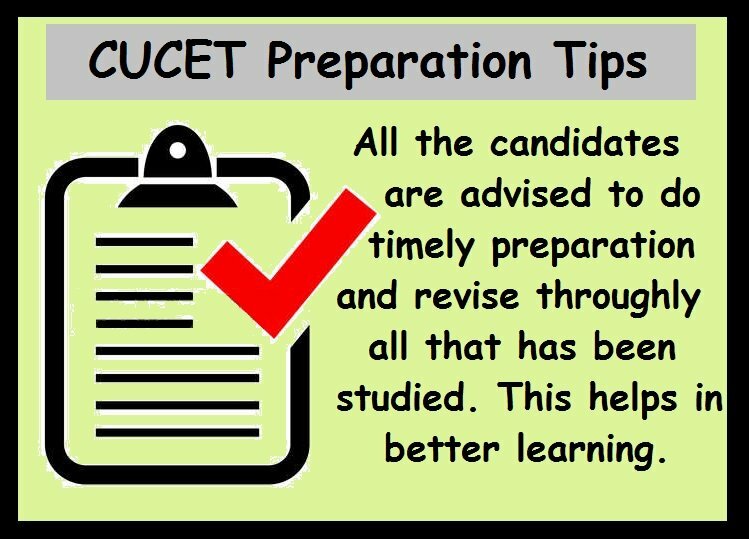 Hence, here we are providing all the aspirants some of the CUCET Exam Tips. This is the foremost step for all the candidates. The exam of CUCET comprises of all the common subjects. However, the exam will be MCQ based questions which may make it difficult for the candidates to solve them in less time with more concentration. 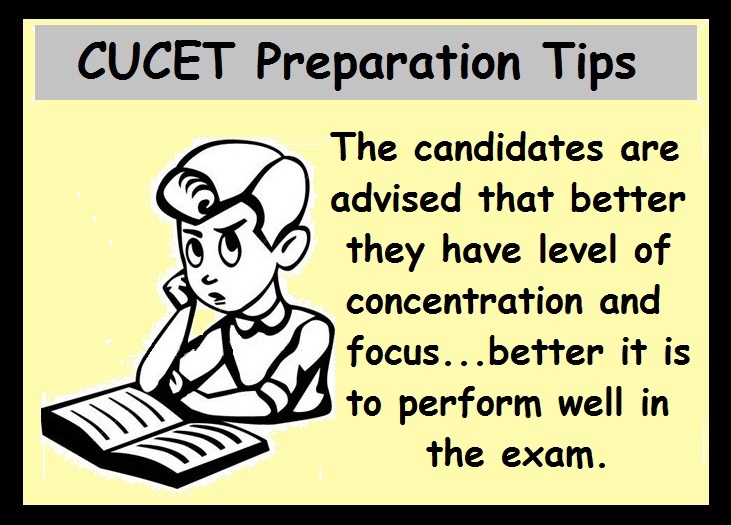 Hence, the CUCET Preparation to all the candidates is to make sure that you improve your level of focus for the exam. The candidates cannot choose what shall be studied unless they know the syllabus. The Tips for CUCET Exam is that first search what are the topics that will be asked in the exam. The syllabus is also a great source for to review on How to Prepare for CUCET Exam. In a nutshell, unless the direction is known preparation can be initiated and syllabus is the source to give directions. What you study is the source of things that you learn. 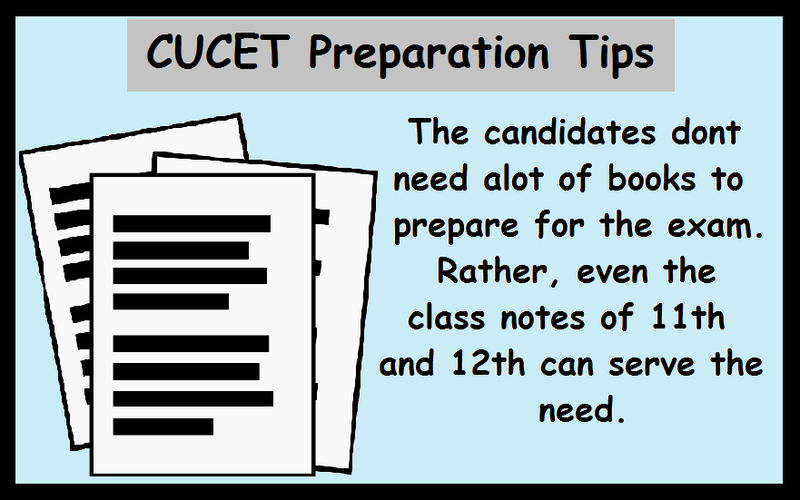 The Cracking Tips for CUCET for all the candidates is that they should lay emphasis on the study material they are choosing for themselves. There may be many students who take coaching for these exams. However, those who will be doing the preparation at home, our advice to them doesn’t get involved in too many books. Rather your 11th and 12th class notes are even as sufficient as CUCET Preparation Books. Just like all the entrance exams, even the CUCET question paper asks for the basics. If the candidates are able to give more time to strengthen their basics it may get easier for them to solve and answer any of the questions. Also, most of the applicants of the exam are advised to start their preparation right from the class 11th. Well our suggestion to all of them is that even from the beginning of the 12th you can initiate your preparation. The only thing to keep in mind is that follow a Study Plan for CUCET Exam and also make sure that you give different time from your schedule for the exam then regular studies. Applicants always have a question- How to Crack CUCET Exam? Well, the answer to all of them is that revision is the key. Until and unless the students will test how much they are able to recall and keep in mind for the long run, it is wrong to be sure for an exam. Keep in mind to revise timely and improve your performance.